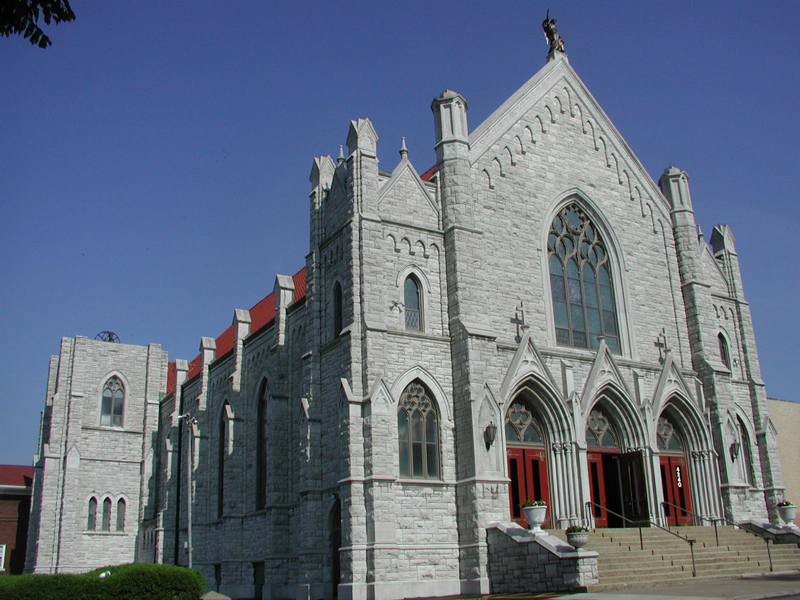 STRATA Architecture Inc. was hired to design and oversee the construction of Phase I Renovation, Restoration and Addition to an historic 1922 Gothic church. 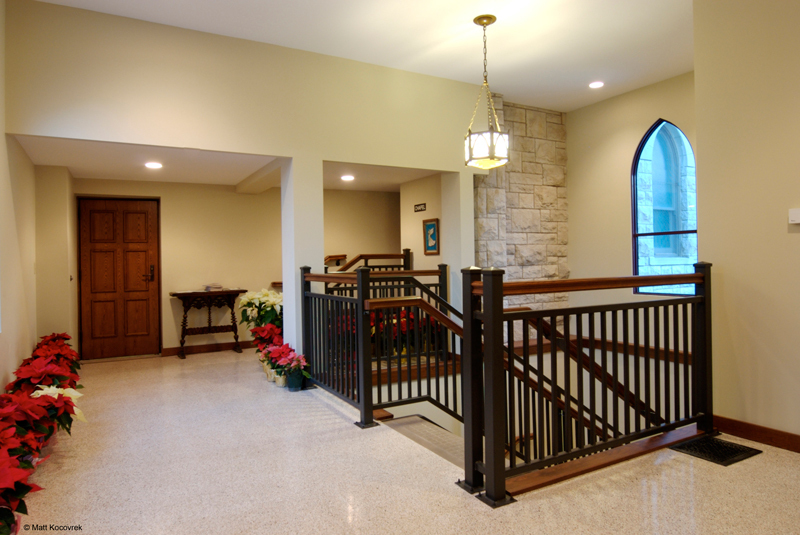 Our firm designed a new sanctuary space to accommodate an accessible ramp and steps to serve the sanctuary, sacristy and daily chapel. 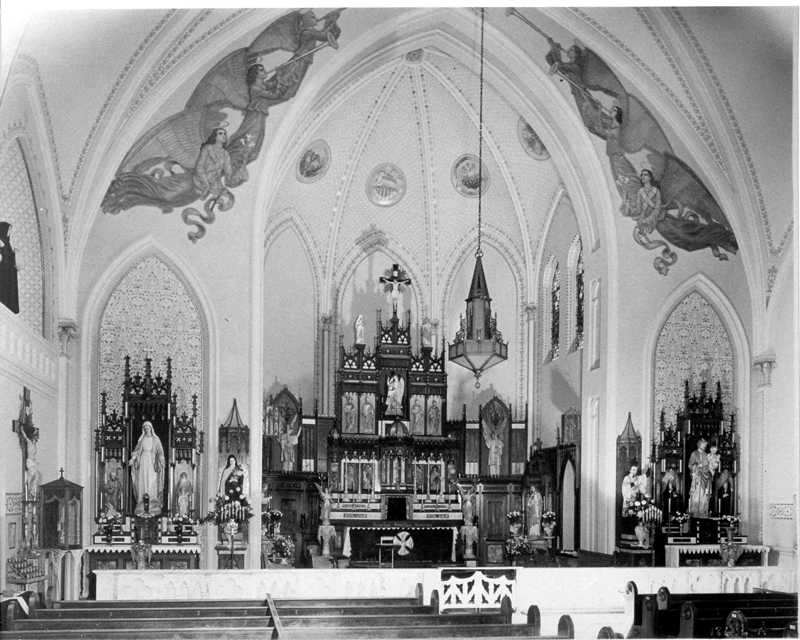 A new twenty-one foot tall stained oak reredos wall was also designed to hold the tabernacle and crucifix. 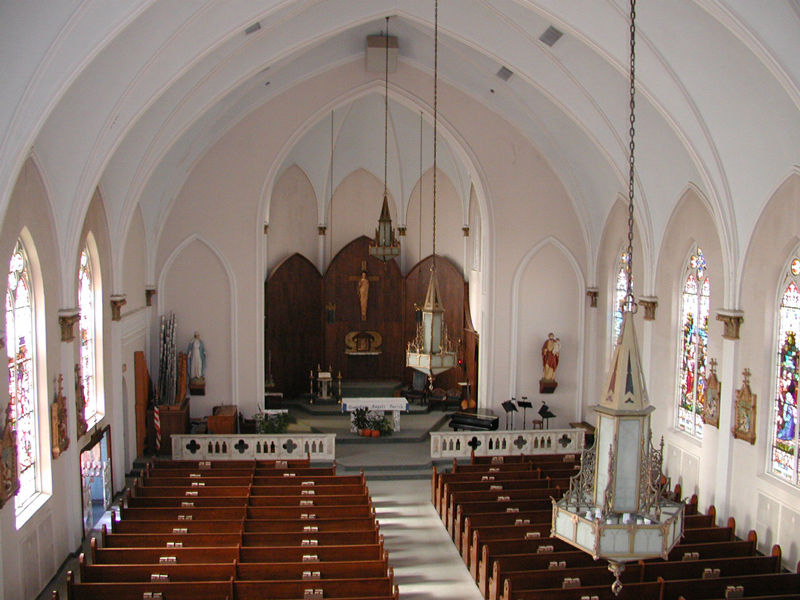 The new reredos wall, casework and millwork (including shelving, tabernacle table, and communion rail) were designed for the interior to replicate the historic original oak detailing. 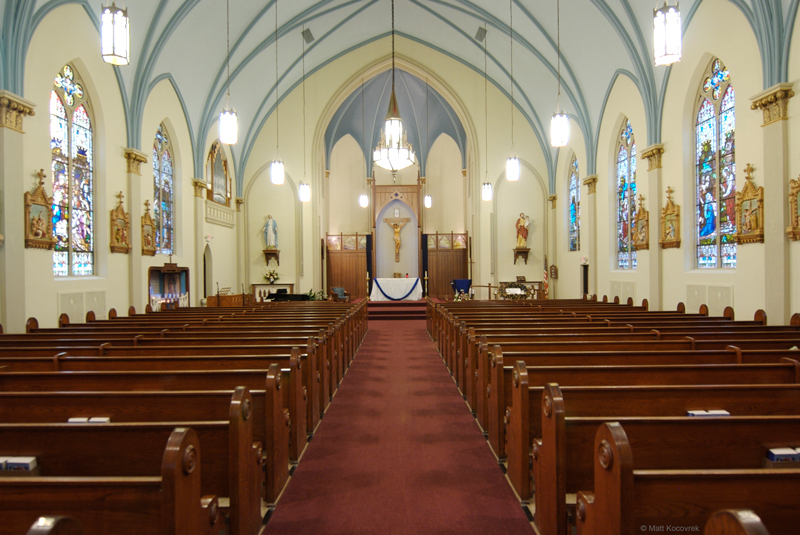 We also designed a new color scheme and selected finishes for the interior, improving the traditional Gothic aesthetics and ambiance of the church interior. 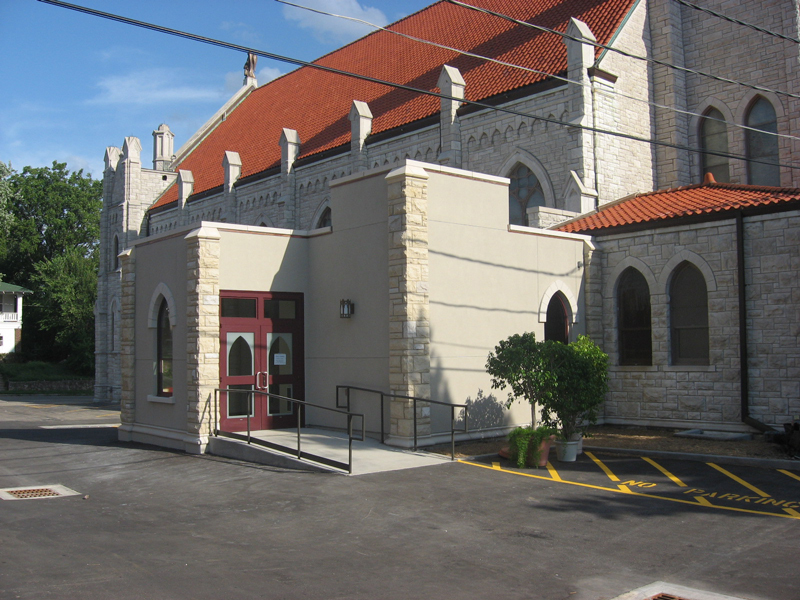 Our work also included the design of a new ADA compliant elevator and stair addition to the north facade of the church. This addition successfully solved the accessibility issues that the Parish had designated as a priority.